Corruption and the wind industry go hand in glove. From the outset it’s managed to infiltrate every level of government, using tactics that would make the most malign Mafiosi blush. Renowned for unauthorised facilitation payments (aka ‘bribes’), threats, bullying and aggressive, deep pocketing litigation in order to get its way, one of the key targets were noise rules and regulations which would prevent this subsidy-soaked industry operating with complete impunity. Worse still, is the fact that it’s next to impossible to get the agencies and regulators purportedly responsible for noise pollution in their jurisdictions to enforce those rules, at all; at least in respect of wind turbine noise. Rightly frustrated with this insidious form of institutional corruption, a group in Ontario has gone to court to force the issue. A judicial review application has been filed against the Ministry of the Environment and Climate Change (“MOECC”) in the Divisional Court in Toronto. The application alleges Ontario regulations and directives limit the amount of noise any residence in the province should have to tolerate from a wind project. Modelling is used to predict these impacts. A local activist group is joining forces with a number of other organizations across Ontario in a lawsuit against the Ministry of Environment and Climate Change. 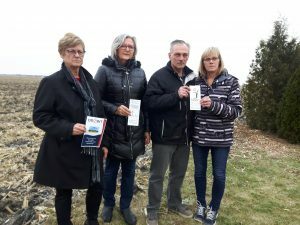 Representatives with Wallaceburg Area Wind Concerns met this morning with a group from Dutton-Dunwich to announce that a judicial review application has been filed in connection to provincial regulations and directives limiting the amount of noise any residence in the province should have to tolerate from a wind project. Spokesperson for Dutton-Dunwich Opponents of Wind Turbines (DOWT) Bonnie Rowe says five communities have wind projects in various stages that were recently awarded contracts. According to the group, this action will halt wind projects that are in the REA process in the communities involved in the suit, while the suit goes through the courts. Strong Breeze Wind Power Project, Municipality of Dutton Dunwich, Elgin County. Infrasonic noise health effects. Intro is in Danish but presentation in English. And the evidence keeps mounting…. ……… there should be a law suit launched against the Liberal Party of Ontario, not the Gov’t. Industrial scale wind is an extremely politically sensitive subject. The rationale for it is based on a false narrative of catastrophic global warming/climate change. This article just appeared to confirm that Ontario has a serious problem. Is this why the Tribunals in Ontario for people being harmed have failed to secure justice? Thankyou for covering our plight here in Ontario Canada. We appreciate the support of STT. Still fighting!! 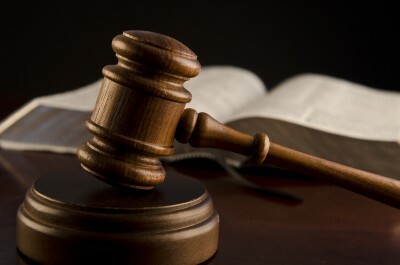 Is there a judge anywhere in the western world not ‘owned’ by the renewables scam? Good luck to these Ontarions – regardless of the result of court decisions the evidence is clear – people’s lives are destroyed by the effects of wind turbine noise.